Familiarity can be an enemy to a leader’s soul. 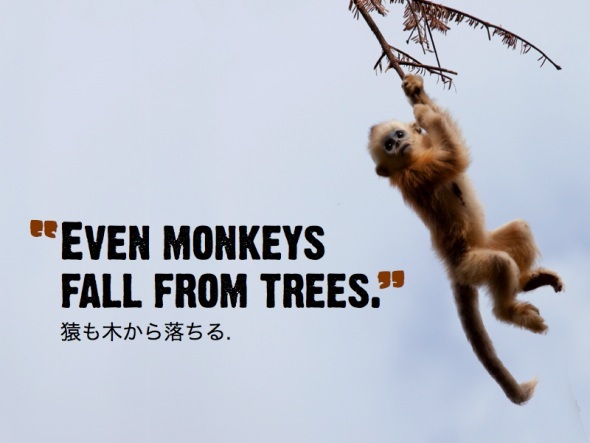 According to an old Japanese proverb, “Even monkeys fall from trees.” The jungle, for which they were made, is the same place that can bring them harm. The environment to which they are accustomed becomes their foe. We, too, can get used to our habitat and the ease in which we move within it. We coast. Our guard drops. We lean on our competence and success. We’ve got the jungle well-manicured. Everything runs well, even though we cannot recall what the machine actually does. We are in control, though. We are not moving forward, but at least things are going smoothly. But who wants a life that’s always smooth? Those who don’t dare to fail greatly never achieve anything great.